The year 2017 saw plenty of engagement-ring action. Believe it or not, ring trends come and go as quickly as every other trend. 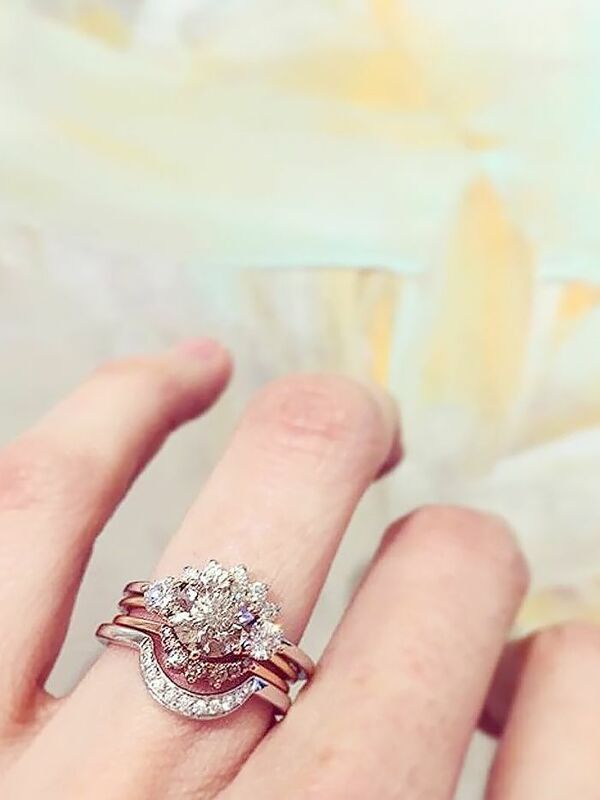 This year, brides-to-be continued to think outside the box—redefining the meaning of classic engagement rings. And lately, fashion girls have been gravitating toward colored stones, unique shapes, and unexpected metals. Why? Because these unique elements bring a touch of personal style. Speaking of fashion girls' ring choices, Catbird, the Brooklyn-based boutique with a cult following, has garnered a reputation for its extensive collection of engagement rings. From their namesake in-house line to indie ones like Pamela Love and Wwake, the store knows both style and individuality. Sriya Karumanchi, public relations and marketing manager at Catbird, filled us in on the three rings trends that have blown up this year. Read on to see the engagement ring trends of 2017, then shop each style. "We're really captivated by emeralds right now," says Karumanchi. "It's such a vivid, romantic stone. 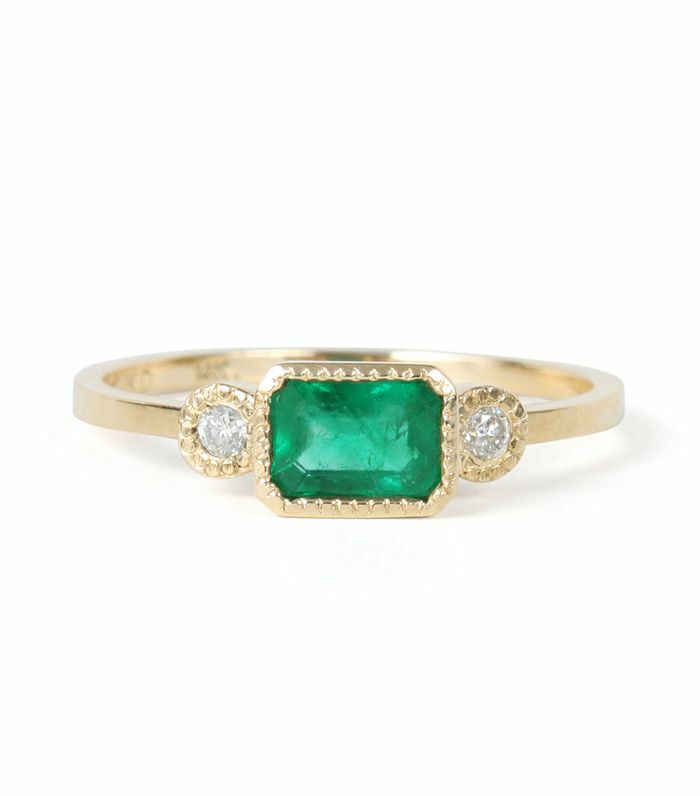 For those looking outside of the traditional ring, emeralds work across organic and modern settings, or they can be a really wonderful way to incorporate a vintage feel to your wedding ring stack." "We've never felt that commitment jewelry is limited to a white diamond. That same thought applies to motifs and settings. We have a selection of cosmic-themed rings—with elements of astrology and the constellations built into the designs—that have resonated with a lot of our clientele. The appeal seems to be that it reveals something personal about the wearer in a discrete way. That's what symbolic jewelry should do," says Karumanchi. "Particularly with wedding bands, we've seen a renewed interest in a deeper 22K yellow gold," says Karumanchi. "It has such a classic, old-world feel to it. It's the quintessential band." 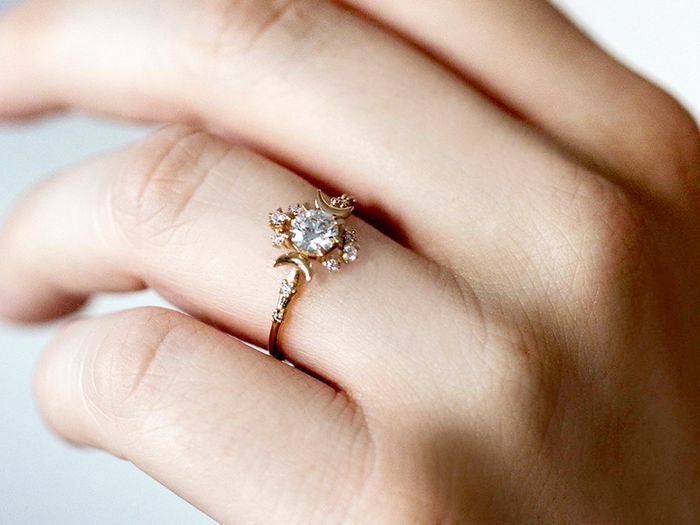 Next up, see the engagement ring trend of 2018.